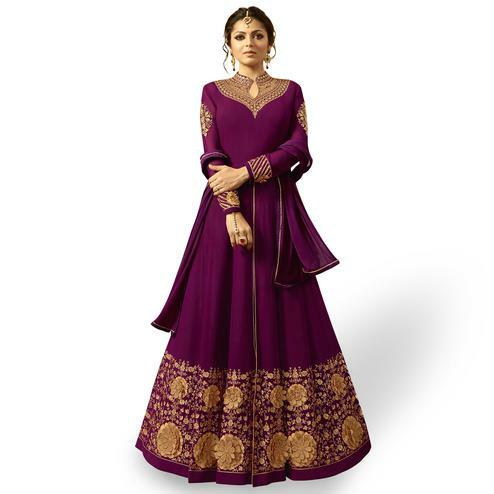 Peachmode’s purple salwar kameez are a ravishing assemblage of beauty and grace. Curated with all the nitty-gritties of fashion, quality and comfort so that you look and feel like a diva while adorning them. Made of the color palettes red and blue, purple color finds its association in attributes like strength, power, ambition and fierce energy. This color strongly reflects imagination and creativity. The hues of purple color too have their own individual meanings. While dark purple stands for melancholy, bright purple is suggestive of money. 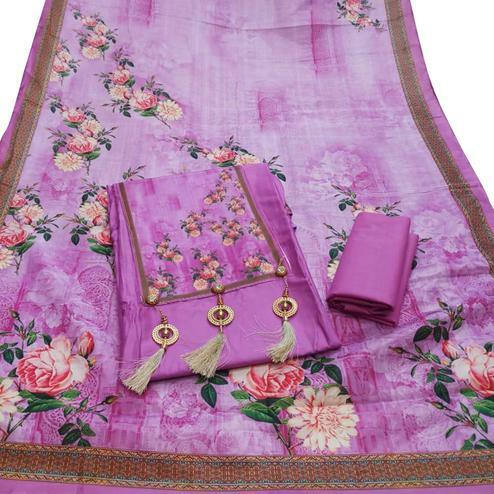 Light purple is often considered as a sign of romance and also of feminine energy. Lavender and lilac are signs of elegance. 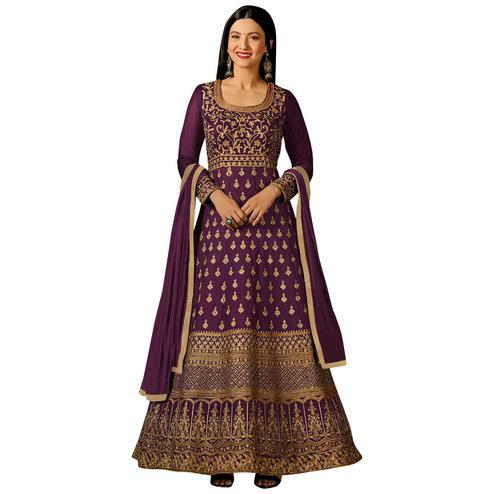 These purple salwar suits for ladies are traced on genuine and elegant fabrics. Silk, Banglori silk, Uppada silk, Tapeta silk, muslin silk, Banarasi silk, net, soft net, georgette, faux georgette, satin georgette, crepe, leon, jacquard, cotton, glace cotton, cambric cotton are some of the many fabrics our purple salwar suit materials are styled in. These salwar kameez designs are done artfully in patterns of chevron, casual prints, digital prints, abstract prints, mirror embroidery, thread embroidery, floral embroidery, zari and resham embroidery, tassels, patch work- all of which are sheer visual treat to the eyes. Our purple salwar kameez combinations are in attractive vivid colors of black, brown, orange, grey, red, peach, gold, beige, pink and the likes. 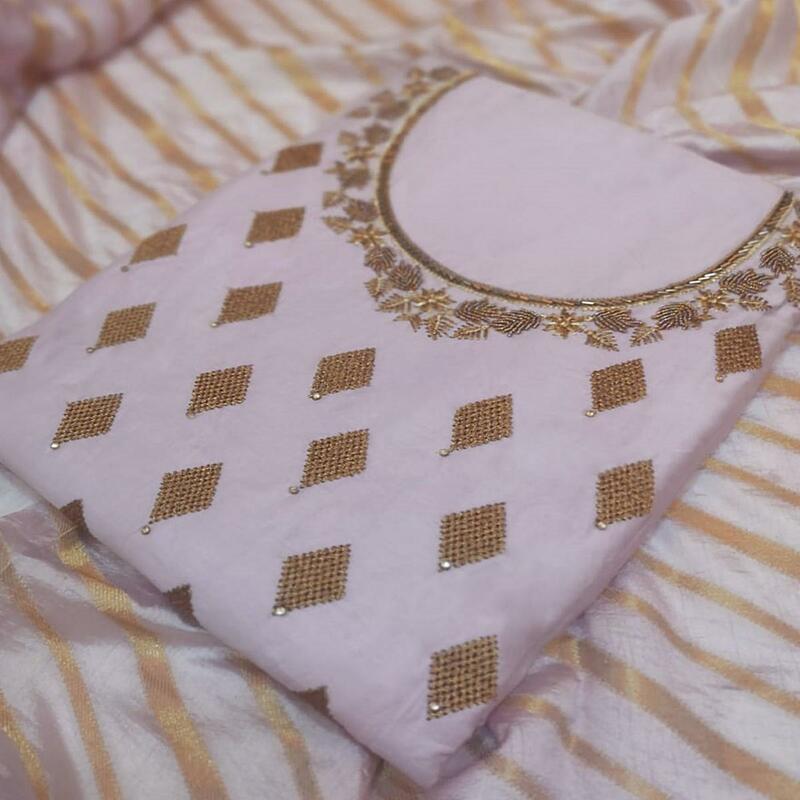 These semi stitched and unstitched purple dress materials too are in wonderful tints of purple- light purple, dark purple, lavender, mauve and they are accompanied with attractive bottoms in santoon, pure cotton, silk. You can have these customized as salwar, churidar, Patiala, pant, palazzo, abaya style- however you want to flaunt your look. 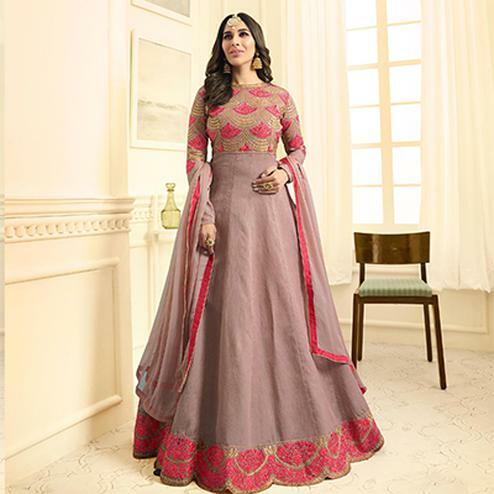 Do check our splendid designer and anarkali style salwar suits too! One look at them and you’d definitely want to own these pieces of grace. Get clicking to Peachmode and shop these ethnic clothings without burning a hole in your pocket!